Stretching from the Peak District to the Welsh border and the Irish Sea, Cheshire has a rich diversity of landscapes, some of which it shares with neighbouring counties. This volume, which marks the 30th anniversary of Chester Society for Landscape History, celebrates that diversity, both in and beyond Cheshire, through a series of papers based on members’ original research. It covers features dating from the twelfth century to the twentieth, all of which can still be seen today. These range in topic from moats, field patterns and way-markers to historic buildings, developing towns and lost airfields. It also includes a discussion of the appeal of landscape history as a subject. 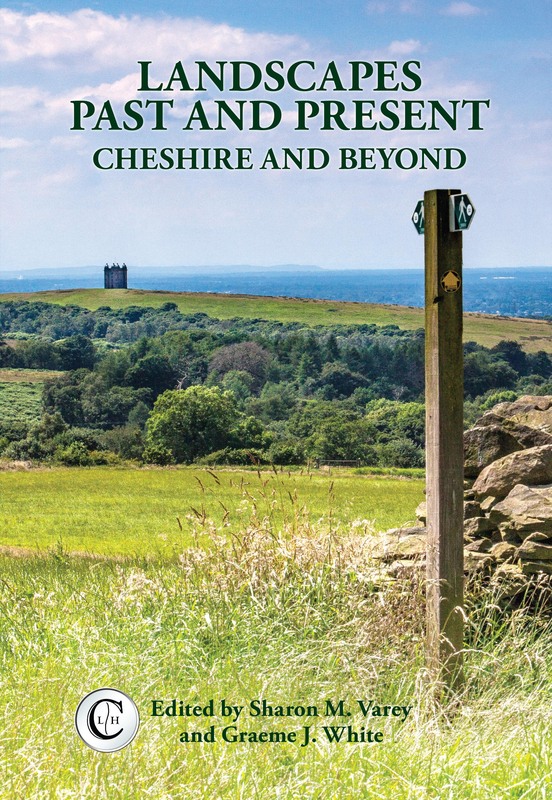 Landscapes Past and Present: Cheshire and Beyond (edited by Sharon M. Varey and Graeme J. White) by Nick Higham, The Local Historian, 2017, July p. 254. Cheshire was traditionally rather overlooked by landscape historians and it is much to the credit of the Chester Society for Landscape History, whose thirtieth anniversary this volume marks, that the balance is being redressed. The book offers a well-edited and well-illustrated collection of eight papers covering diverse aspects of the historic county and beyond. ... While genuinely interesting at the individual level, these papers share little beyond their geographical focus and their desire of the authors to mark the anniversary. Sharon M. Varey and Graeme J. White, Landscapes Past and Present: Cheshire and Beyond, 2016, ISBN 978-1-908258-28-1, £12.99. The e-book (ISBN 978-1-908258-47-2) is currently available through Google Play, ebrary, EBL, EBSCO, Ebook Central, Gardners and Dawsonera. Readers of the volume may also be interested in Landscape History Discoveries in the North West, by the same editors.